It doesn’t require an advanced degree to know that loss is a powerful human experience. However, those wishing to explore becoming a grief counselor may want to know more about what these professionals do. Assisting another with the process of healing from loss can seem a difficult task, and we don’t always know the proper way to proceed. This is why training and intensive education will assist individuals in this essential profession. Below, we’ll explore what a grief counselor does, and some of the requirements for seeking certification. A practitioner of this profession is trained to help the bereaved with expressions of what the American Institute of Health Care Practitioners terms normal grief. The first duty of the practitioner is to assess whether the individual is experiencing this, or a more severe reaction, which will necessitate the assistance of a qualified therapist. However, grief counselors perform several essential services. Traumatic experiences within the realm of the practitioner’s competence. 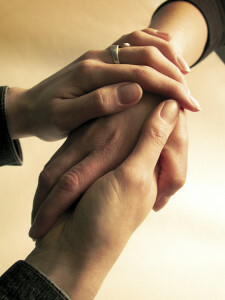 Above, it was noted that grief counselors help people move through the stages of normal grief. What precisely might they be called upon to do? While a counselor who is not a licensed behavioral therapist can’t actively initiate therapeutic regimens, they can still offer help in a variety of ways. Education about the nature of grief, loss, and active grieving are one aspect of the counselor’s task. While they are there to listen, to offer comfort, and lend a companionable shoulder upon which to cry, they also help individuals move forward from their initial loss. They will offer companionable coaching, helping individuals to celebrate the positive aspects of their relationship with the person or pet they have lost. They will also set grief in the perspective of a continuing life. They focus on acknowledging the loss without allowing it to become the ruling influence in a person’s life. Because loss denotes a relationship of value, grief isn’t something to be ignored or diminished. It’s also an experience that is different for each person, and manifests in many ways cross-culturally. Recognizing and honoring these evocations of grieving may also be a part of the counselor’s role. If you would like to be a grief counselor, there are many worthy certification programs. It’s important to recognize that recertification may require additional education in the field – further courses or seminars to enhance the understanding and practice of counseling. As well, this may prove to be the first step in a more ambitious educational journey, leading to fields of behavioral therapy, advanced nursing, or even religious vocations. While that’s not essential to be of help to the grieving, it has often been noted that working as a grief counselor can offer deeper insights into the human experience than any joyful occasion.